With Brexit less than two months away, the continuing uncertainty over the possibility of a no-deal scenario has British florists increasingly worried. Once out of the EU – unless there’s an agreement as planned in Theresa May’s deal or a new, as yet, unagreed one – today’s seamless trade will be held up by custom’s checks. “It will affect the lorries, if they get held up at the border, it will affect us a lot. No-deal Brexit will be terrible; a lot of independent florists are going to have to start from zero again. 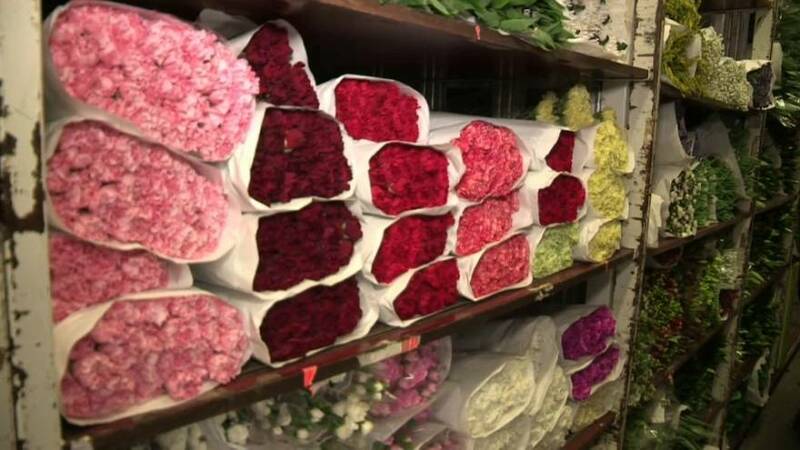 The prices will bump up really high, where customers just won't be able to afford it,” florist Priscila Manni said. The referendum has already had an impact on the UK flower sector, as the falling value of the pound has meant that it is more expensive to import flowers. The flower trade between the UK and Netherlands is already down by around 100 million euros a year. Flower shop owner Naji Dahan, for example, said that around 95% of his stock comes from Holland. “You can see a lot of flower shops closing down, a lot of companies going bankrupt, two of our suppliers stopped coming to England all together because it doesn’t make business sense,” he said. In the Oxfordshire town of Witney, David Cameron’s former constituency, one florist said the uncertainty has meant she cannot commit to weddings after the Brexit deadline. “I’ve never had it so bad and so difficult since the referendum” Rosa Ashby, flower shop owner in Witney said. The flower business depends on continuous, unimpeded flow of flowers - all florists can do is continue holding their breath – until decisions are made.